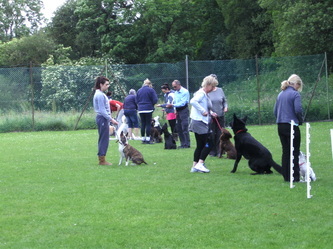 This class is for dogs that have completed one of our beginner courses and wish to continue training with us. 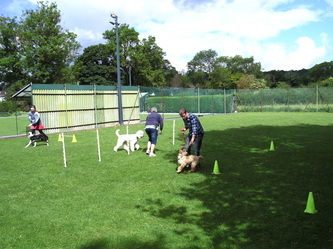 The class is for 5 weeks the cost is £45 and is now held at Mold, Chester and Wrexham. 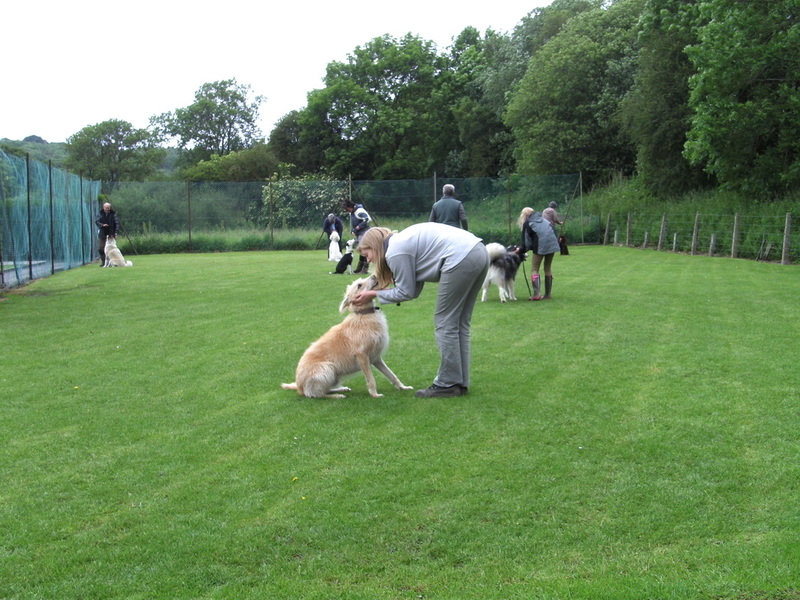 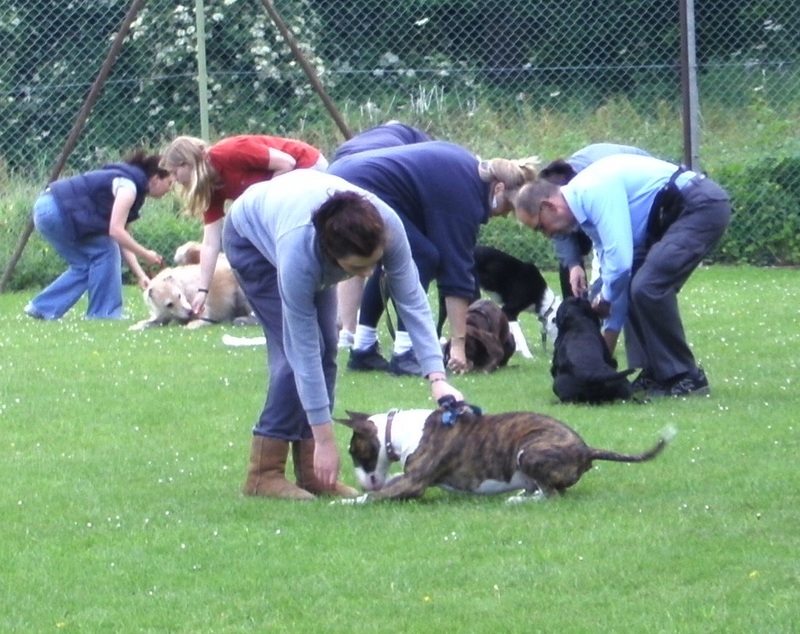 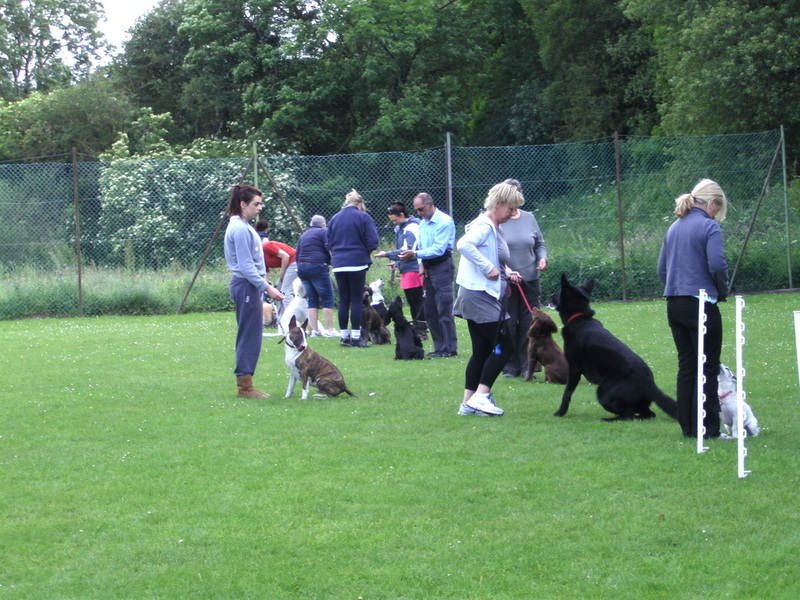 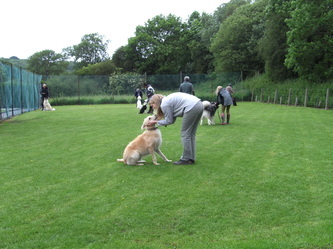 We continue to teach socialisation, basic obedience, we also teach stays and some advance exercises are introduced, this class is also meant to entertain dogs and handlers so we have some small agility equipment that we use and we also teach various tricks to the dogs. 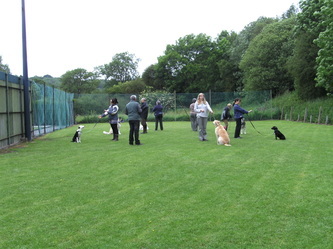 Once you have obtained a certain standard in this class and have been a regular attendee you will be awarded a certificate and invited into our Beginner class. 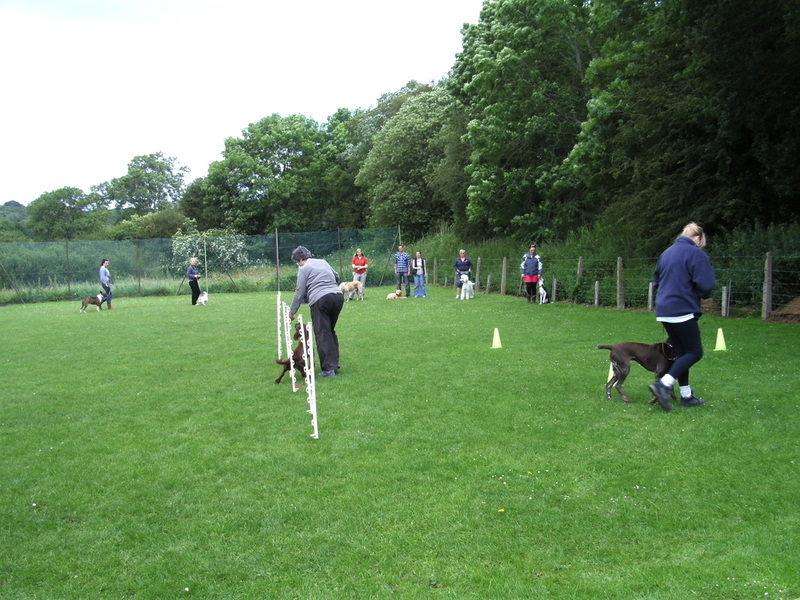 Picture shows a group enjoying their training in the paddock at Rhydymwyn.